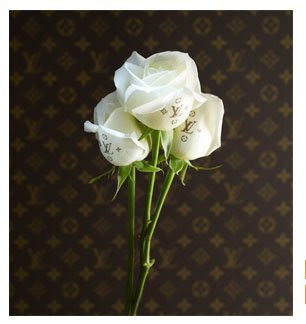 A Rinkya Blog: Louis Vuitton Monogrammed Roses for White Day! White day is March 14th in Japan and it is when the ladies get the gifts! The special Louis Vuitton rose is available for a limited time only and looks great paired with a purse! For more images of the white roses, visit Louis Vuitton Japan! For more information on White Day, please read last year's post here!